Configuring Torii is super simple. The only trick is that the name of the session conflicts with ember-simple-auth. I renamed mine to torii-session. 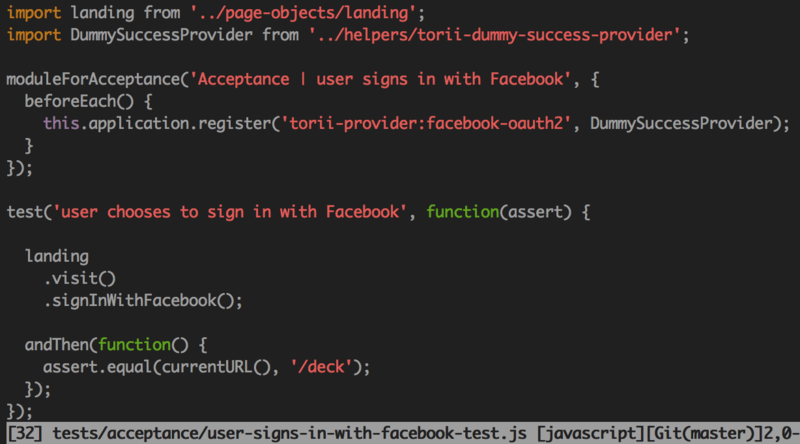 Calling this.get('torii').open('facebook-oauth2') triggers a Facbook dialog to show in another window. There may be a better way to get the token into simple auth but I wrote a synchronous method that calls some private APIs... don't judge me. Logging into Facebook triggers a postMessage to notify Torii of success or failure. Torii then POSTs the code to your backend using the adapter. The adapter is simple enough to mock with ember-cli-mirage. I just return a token if the parameters exist. 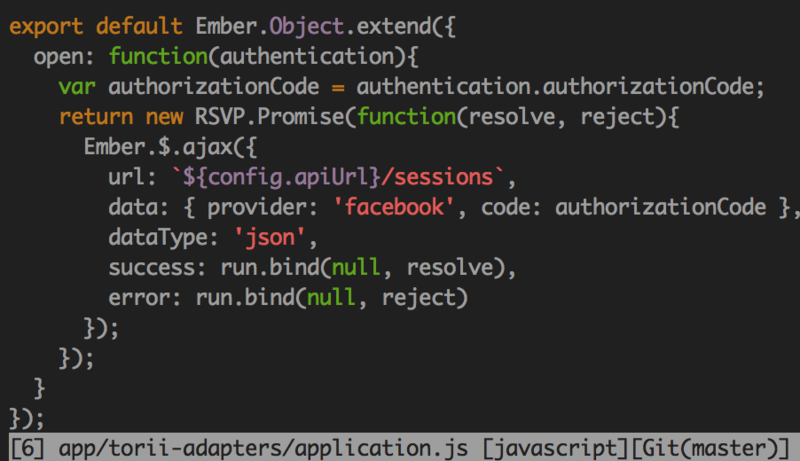 Notice how ember-cli-page-object make the tests read so pretty! 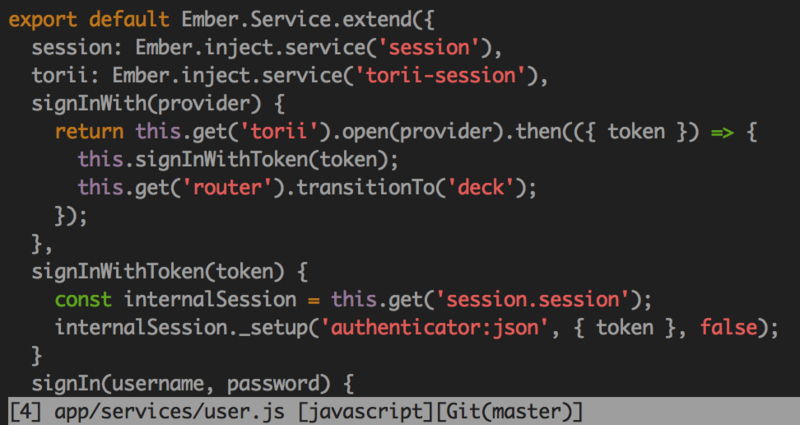 Not surprisingly, Ember's dependency injection and some great patterns in Torii make swapping the original facebook-oauth2 service for our stubbed service straight forward. There were only slight changes needed to test Facebook auth failure. Similarly, adding Google or Twitter authentication won't require many changes.